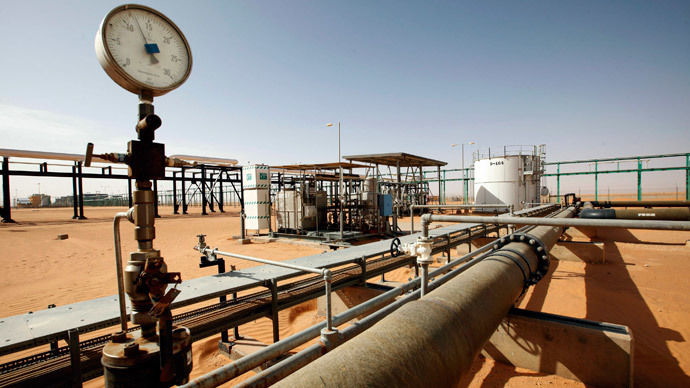 Libya’s National Oil Corporation (NOC) says it could suspend production at all its oilfields if the government fails to curb the rising number of attacks by militants. The company is worried about the safety of its employees and the possibility staff might leave the extraction sites after repeated armed attacks. NOC wants the country's Defense Ministry to protect the oil pumping facilities. “If these incidents continue, National Oil Corp will regrettably be forced to stop all operations at all fields in order to preserve the lives of employees,” the company warned on its website. There have been increasing attacks on Libya’s oil facilities by armed groups, and the violence reached its peak last week. On Saturday a bomb exploded at a pipeline carrying crude from the country’s largest oilfield El Sarir, following Friday’s attacks on the nearby Makruk and Bahi oil fields. Nine guards were killed and three workers were taken hostage in an attack on Mabruk earlier this month. Various militant groups are tearing Libya apart in the worst wave of violence since the 2011 uprising that overthrew the country’s leader Muammar Gaddafi. Two de-facto governments are currently acting in the country. Brent crude finished last week up 7 percent and up 32 percent from its lowest point this year in mid-January at $61.52 a barrel due to the news from Libya.